Buying life insurance especially for the first time can sometimes be a challenge. After all, what other product in the world can you think of where you actually have to “give blood” just to be able to purchase it! – Only accept the very healthiest of applicants. – Have limited policy options to choose from. – And will typically cost more than policies that do require a full medical exam. In addition to having to take a medical exam, life insurance companies are also going to utilize a host of other techniques designed to determine the overall health of an applicant. And the ordering of medical records from your primary care physician. But did you also know that there’s a host of other “NON-MEDICAL” topics that that could determine whether or not you can qualify for life insurance? In fact, insurance companies are also going to be very interested in a wide variety of other “NON-MEDICAL” issues that could potentially keep you from qualify for a fully underwritten term life insurance policy! So with that said, let’s take a look at the top 10 non-medical reasons for being denied life insurance! *Side note: Before we get started, we here at TermLife2Go would just like to point out that these are not TermLife2Go’s rules. In this article, we’re simply pointing out that these “non-medically” related issues are built into many of today’s life insurance applications. You will definitely want to give us a call so that we can best advise you on how not to let any one of the following cases prevent you from being able to find a quality life insurance policy for both you and your family! Applying for life insurance while being unemployed can cause a lot of problems. After all, one of the main reasons for purchasing life insurance for many is to replace the income that would be lost as a result of the death of a primary bread earner. So if the primary bread earner isn’t actually earning any money currently, how are we able to present to an insurance underwriter that a $250,000 dollar life insurance policy is reasonable to ask for? For these types of cases, depending upon how much insurance is being sought, knowing which insurance company isn’t going to dive to deep into ones current employment status is key! In fact, even if you aren’t completely denied life insurance due to being unemployed, many unemployed applicants will commonly see the amount of life insurance that they are allowed to purchase will decrease dramatically as a result of their unemployment. Because when it comes to life insurance, it doesn’t matter how much life insurance you can afford, it’s all about how much you can qualify for! As a result of what has become known as the “Great Recession” many people have recently found themselves in the situation where their financial responsibilities far exceed what they are currently earning today. This “Gap” between one’s earning and one’s insurance needs can potentially make it more difficult for certain life insurance applicants to qualify for the amount of life insurance that they are looking to purchase. This is especially true for older applicants. When it comes to life insurance, it doesn’t matter how much life insurance you can afford, it’s all about how much you can qualify for! Now this is a difficult one to explain, but in general if you’re in the process of filing for a Chapter 7 bankruptcy, most life insurance companies are going to wait until it has been discharged prior to offering you a policy. Additional requirements, such as providing pay stubs and or tax return documentation, may also be required of such applicants if their bankruptcy has been discharged within 12 months of their life insurance application date. Chapter 11, 12, and 13 type bankruptcies, where payments are being made to the owed party, may still be eligible for life insurance if the applicant is current with their bankruptcy payment schedule. However, these fixed payments may make it more difficult for them to qualify for the amount of coverage that they are looking for. Now once you get into a situation where multiple bankruptcies are to be considered things can become much more difficult. It’s also important to note that life insurance companies want to know about “ALL BANKRUPTCIES” not just the ones that appear on your background check into your credit history. So if you’ve had a bankruptcy 20 years ago and another one 8 months ago, to the insurance industry, you actually have 2 bankruptcies on your record. Now you may be asking, “What does bankruptcy have to do with life insurance?” Now the trick is knowing which life insurance companies are really going to worry about if someone has a bankruptcy on their record or not. First accepts the insurance policy, and Second, lives a long life paying for the policy! In bankruptcies, extraneous expenditures such as life insurance will often be the first things to be dropped when trying to consolidate one’s expenses. This is why many life insurance companies have made the financial decision to limit their cost exposure by insuring applicants with bankruptcies on their record. So if you have a bankruptcy or two on your record, give us a call, we should be able to help! Now this one sort of makes sense. After all, if you’re healthy, what’s one of the most likely causes of death for someone who isn’t ill? You guessed it— “motor vehicle” accidents. So, if you like to drive like Dale Earnhart Jr., do yourself a favor and know which insurance company isn’t going to hold this against you! While DUI’s are obviously a part of one’s driving record, we’ve chosen to list it separately simply because how seriously life insurance companies view them. In fact, many life insurance companies won’t even consider an applicant who has had a DUI within the past 12 months and it only gets worse if the applicant has multiple DUI’s on their record. The good news is that there are one or two different life insurance companies that will insure applicants with recent and/or multiple DUI’s on their record. For these folks we definitely suggest that they give us a call because it’s important for these folks to develop an overall strategy to best insure their family for years to come (i.e. : get insurance now, but revisit their insurance needs, 2 or 3 years from now as well). When it comes time to apply for life insurance, in most cases you’re going to be asked about your travel plans. And unless you want to risk having your life insurance policy canceled or not honored by the insurer, it’s important to be completely honest when it comes time to answer the dreaded travel question. …chances are you’re probably going to have a difficult time finding a life insurance company that is going to be willing to insure you. It is not easy finding life insurance when traveling to dangerous locations. There are also quite a few countries that you might not think of as being so called “dangerous”, that also fall on the “Do not insure list”. Countries such as Haiti, Nigeria, certain parts of Northern and Central Mexico, as well as a few hot spots in Columbia and India. For this reason, it’s always best to let your life insurance agent know right away if you have any travel plans so that he or she can “Weed” out a lot of the insurance companies that simply won’t insure certain travel destinations. The good news for those that are traveling to some of these more “exotic” locations is that we here at TermLife2Go have recently added a new life insurance product that simply doesn’t include travel destinations in its underwriting process, which is great for anyone looking to buy life insurance right away. If you’re frequently told that you’re “insane” after you describe to someone what you like to do for fun over the weekend, #7 of non medical reasons for having your life insurance application denied may be your down fall. What you’ll find on a typically life insurance application is a question that is going to sound a whole lot like: In the past (2-5years), have any of the proposed insured participated in, or do they anticipate participating in: any flights as a trainee, pilot or crew member, scuba diving, skydiving or parachuting, ultralight aviation, auto racing, cave exploration, hang gliding, boat racing, mountaineering, extreme sports or other hazardous activities? Now for most of us, this list will usually illicit a laugh or maybe a “I wish” but for some, some of these “dangerous” hobbies aren’t all that crazy and are in fact a great way for them to enjoy their life, especially when it comes to some relatively common hobbies such as scuba diving, auto (drag) racing and mountaineering. Now it should be noted that even if you do participate in one of these so called dangerous hobbies, it doesn’t mean that you’ll automatically be denied life insurance. In fact, it may not even affect your life insurance application at all such as those who participate in recreational diving several times per year. But the truth is, until you’ve been approved for life insurance, any one of these potentially dangerous hobbies could potentially hurt your chances for being approved, and /or greatly affect what premium rate you get approved for. For this reason, if you know that you have a hobby that could be considered dangerous, let your life insurance agent know right away so that they can best help you find an insurance carrier that will best serve your needs. The good news is that we here at TermLife2Go have recently added a new life insurance product that doesn’t include “dangerous Hobbies” in its underwriting process which is great for anyone looking to buy life insurance right away. It’s important to understand that every question that is asked on a life insurance application is asked for a very specific reason, and in the case of the occupation question, it’s there to first prove that you’re employed and second to determine if you have a so called dangerous profession. Fisherman and related fishing workers. Airline pilots and flight engineers. Structural iron and steel workers. Truck drivers (Hazardous waste and explosives). Farmers, ranchers and other agricultural managers. A general rule of thumb would be, if the Discovery Channel has a show about what you do for a living, chances are an insurance underwriter is probably going to want some additional information regarding your exact duties. Now again, just because you hold a so called “hazardous job” doesn’t mean that you will automatically be denied life insurance. It does, however, mean that you’ll want to be a bit more careful about who you decide to apply for life insurance with. Again, we here at TermLife2Go do have an insurance carrier that does not factor occupation into its underwriting process so if you are a nuclear jet rocket test pilot, we should still be able to get you insured. Can you get life insurance if you use marijuana? Life insurance is available for marijuana users with or without a prescription. However, if you have a marijuana prescription, insurers will run a background check of the MIB (medical information bureau) to see what the prescription is for. So the question then becomes, what is the key to getting the best rates on life insurance with marijuana? And there lies the rub, because when it comes to time to buy life insurance as a marijuana user, there’s really only two things that are important: (1) don’t lie and (2) chose your insurance carrier wisely. Some carriers will offer preferred rate classes. Others will stick you with a tobacco rate. But don’t worry, we can help guide you to the right company if you partake of the herb. And lastly for our “We all make mistakes” category, we’ll address the affects that felonies and misdemeanors have on one’s life insurance application. In general, most life insurance companies are not going to be interested in anyone applying for life insurance while they’re still on probation. This rule is going to hold true if your probation is because you stole a library book or because you were convicted for manslaughter. Additionally, the longer that you’ve been off probation, the greater your chances will be to first, get approved for life insurance and second, secure a lower cost for your life insurance. In most cases when it comes to those with multiple felonies and or major felonies, fully underwritten term and whole life insurance policies simply aren’t going to be an option. Unfortunately for these applicants, once a criminal data base check is preformed, their life insurance application will immediately be declined. The good news is that we here at TermLife2Go have found a term life insurance option that does not ask about felonies or misdemeanors in its initial application process. So “theoretically”, one should be able to obtain life insurance coverage with this insurance carrier even as a convicted felon. And/or a prescription database check. But considering the application is free, you as the insurance applicant really don’t have much to lose! And there you have it, the top 10 non-medical causes for a life insurance application to be denied. As you can see, getting life insurance can be tough. After all, these are just the “Non-medical” reasons. When you actually begin to factor health reasons, the list goes on and on! But don’t fret! That’s what we’re here to do. We here at TermLife2Go have made it our mission to help everyone find an affordable life insurance policy that they qualify for so that they’re family is well protected. We work with the top life insurance companies and the top no medical exam companies. This way, we can align you with the best company at the best price—for you, based on your unique health and lifestyle. 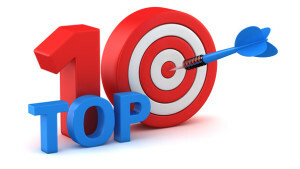 We hoped you enjoyed our Top 10 Non Medical Reasons for Being Declined Life Insurance article. If you have any questions please leave a comment below.